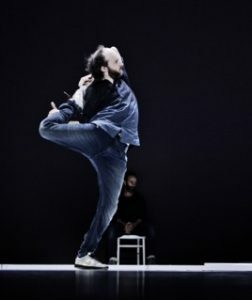 When I think of Sidi Larbi Cherkaoui, I think of a renowned Belgian dancer and choreographer who has always had a knack for blending together different art forms. His ballets, be it his debut Rien de Rien or any of his following pieces, have never been solely about dance. He has always used multimedia and imagery to support his choreographies, often makes use of shifting and varying decors, and there has always been a storyline for the audience to follow, combining dance with some form of drama. He has always experimented with different forms of performance art. I knew all of this when I walked into Barbican centre, as I had seen a couple of his pieces before. Nevertheless, Sidi Larbi’s full-fledged, three-hour-long theatre production very much caught me by surprise. His rebooth of father of the manga-genre Osama Tezuka’s Astro Boy features sensational visual effects, a fully Japanese cast alongside Japanese dancers, extraordinary puppets and as always, some impressively graceful choreographies. The script is based on a 2003 remake of Astro Boy written by Naoki Urasawa and Takashi Nagasaki. The story follows protagonist Atom, his younger sister Uran, detective Gesicht and his wife Helena, all highly-advanced robots living in a futuristic world where someone is destroying the world’s most advanced technologies. Portraying a universe where the line between robots and humans is thinner than ever, Pluto pushes audiences to think further. It is not a story about robots and humans, or robots against humans, but rather, it depicts an ominous tale about hate, love and human nature. Pluto is performed in Japanese with English subtitles, but this wasn’t disturbing or distracting at any point. The skill of the staging and décor is exceptional: the show begins with the closure of a screen showing images of advanced robots and manga drawings. The scene changes constantly; Sidi Larbi works on multiple levels and different screens. The whole play moves on with the high-speed energy of a comic strip: no scene lasts for more than a few seconds before it gives way to the next. All characters are shadowed by dancers who manipulate the actors on the one hand, acting as puppet-masters, and the scene on the other hand, constantly shifting a set of stone panels around to create dozens of different backgrounds, rooms and staircases. Atom, our main character, is at one point sucked into an enormous balloon-like substance at the low-point of the play, when the world faces nuclear devastation. Robots and monsters are brought to life with incredible sound and visual effects. The video and set design is, in short, spectacular. But this was also the downside of the play – three hours is a long time to spend watching an animated comic book. Cherkaoui’s choreography, when it occurs, is sophisticated and elegant. Unfortunately, his theatrical (and universal) language of dance sometimes seemed eclipsed by detailed dialogues, an overly complicated plot and myriad technical effects. He managed to transpose the traditional manga comics vibe to the scene, remaining faithful to its energy, ethnicity, graphics and scale. 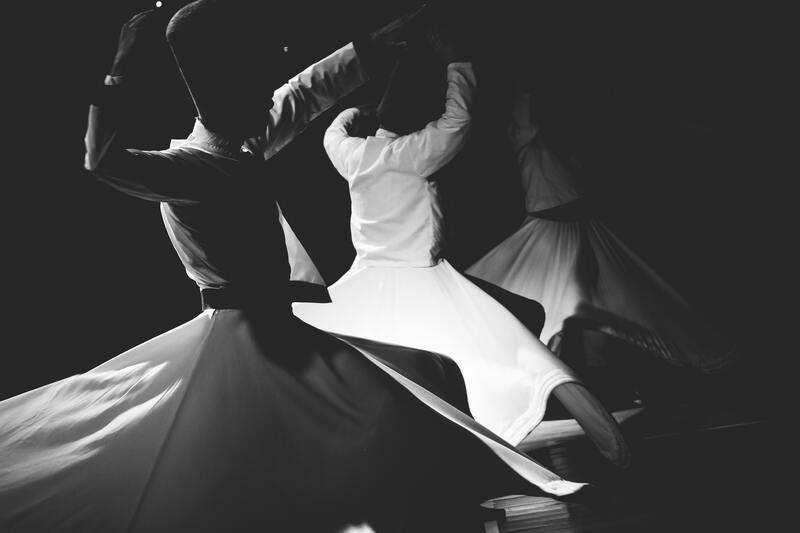 He also successfully combined literature with dance, theatre, film and performance, topping it off with a storyline that invokes self-reflection and evaluation of humankind. My only problem is that he may have overdone it: the plot, the effects, the length – it may have all been just a little too much.